The tinsel town is full of surprises, surprises and surprises! When we watch a particular movie, we instantly fall in love with the characters. And when we fall in love with the characters, we ought to know what’s brewing in their life, more so, how has their past been. Ditto us, here? And when it comes to dating, some relationships might end on a bitter note, some end on a happy note with a promise to share a good friendship in the near future. And you will find this in abundance in Bollywood! While some affairs worked out, others went in for a toss and the actresses went ahead to get married to other men. But who were these actresses, whom were they involved with and in whom did they eventually find love? You will find all your answers in this 11-pointer listicle. What are you waiting for? Go ahead and read on! In the 80s, the news of a steamy affair surfaced on the internet. Superstars, Sridevi and Mithun Chakraborty were madly in love with each other and had secretly gotten hitched to each other. The duo apparently came close to each other on the sets of Jaag Utha Insan (1984) and this led to the rise of an affair. But one problem persisted. Mithun was already married to Yogeeta Bali and was finding it difficult to choose between the two ladies. If rumours are to be believed, Sridevi had even tied a rakhi on Boney’s wrist to dispel all the doubts from Mithun’s mind that was upsurging on media about her and Boney. Tired of being the second woman, Sridevi had given an ultimatum to Mithun. But Yogeeta was hell-bent on not leaving her husband and had reportedly attempted suicide. That’s exactly when Mithun thought of cutting all ties with Sridevi and she went on to marry producer Boney Kapoor. This Dhak Dhak girl of Bollywood, Madhuri Dixit and her once rumoured beau, Sanjay Dutt had delivered innumerous hit films together and fell for each other when things were not doing fine in the latter’s life. Both Madhuri and Sanjay were quite ‘a thing’ in Bollywood in the 90s. The duo’s affair started to develop when Sanjay’s first wife, Richa Sharma was suffering from brain tumour. Things were going fine when in 1993, Sanjay was arrested for illegal possession of arms under TADA and that is exactly when Madhuri probably thought that it is a wise decision to distance herself from him and on October 17, 1999, Madhuri got married to USA based, Dr. Sriram Nene. This was yet another ‘height of romance’ from the 90s. After a couple of linkup stance from A-listed stars like, Aamir Khan, Abhishek Bachchan, it was her affinity with Govinda that had stirred the maximum attention from media. The actors got close to each other while working in Hadh Kar Di Aapne. It was also reported that once Govinda was seen walking out of Rani’s hotel room late in the night which infuriated Govinda’s wife, Sunita and she had thought of leaving him. But Govinda chose not to part with his wife and the rest is all history. Years later, in 2009, an official statement from Yash Raj Films confirmed Rani’s marriage to YRF conglomerate and Chairman, Aditya Chopra. What began beautifully, ended up being one of the most controversial and ugliest spats in Bollywood. The beautiful Aishwarya was in a committed relationship with superstar, Salman Khan. The Kajra Re star had once stated that it was due to Salman’s verbal, physical, emotional abuse towards her, infidelity and indignity that led to the split. And later on, Aishwarya moved on in life and went ahead to become a Bachchan bahu by marrying Abhishek Bachchan. The couple is blessed with a beautiful daughter, Aaradhya Bachchan. Soon after her breakup, Shilpa found love in her businessman hubby, Raj Kundra and is now leading a happily married life. The couple is blessed with an adoable 6-year-old kid, Viaan Raj Kundra. “We started off as friends. We got to know each other only when we went together for a few shows in America and Canada. I think loyalty meant a lot to me, but I did not mean so much to him. He expected me to forgive and take him back every time. I did that for three years, until it was the last round." Years later, Raveena met the ‘man of her dreams’, Anil Thadani and they got married in a grand wedding on February 22, 2004. From being widely praised for her performances in movies, Kareena was also widely discussed for her flings with her co-stars and honest interviews. One of Kareena’s most prominent affairs was with Shahid Kapoor. Kareena and Shahid were quite serious about each other but soon fell out of love. The now ex-couple went on to do multiple films together and almost all of them failed to impress people at the box office. In fact, Shahid had once shared in an interview that he and Kareena “look really bad together in their first couple of films”. Post their spilt, Kareena found love in Pataudi Prince, Saif Ali Khan and Shahid went ahead to marry Delhi-based, Mira Rajput. Lives today of this ex-couple? Bipasha is happily married to Karan Singh Grover and John is enjoying his marital bliss with Priya Runchal. Ranveer Singh made his debut with Anushka Sharma in the movie Band Baaja Baarat. The film was entertaining to another level and that’s exactly when Ranveer and Anushka’s love started blossoming. Soon after, news was all about Anushka and a super-energetic newcomer, Ranveer Singh’s budding relationship. Their love story was however, short-lived and both moved on in their respective lives and still continue to be great friends. While Anushka Sharma went ahead to marry Virat Kohli in December 2017, Ranveer is reportedly all set to marry dimpled beauty, Deepika Padukone on November 20, 2018. This is an affair that not many of you know. Now Imran Khan’s wife, Avantika had dated Ranbir for over 5 years in the past! Yes, you read that right. 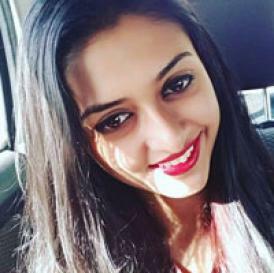 Avantika was one of the performing child artists in popular serial, Just Mohabbat. Ranbir reportedly, was so smitten with Avantika that she used to visit him on the sets of the show every day! Soon after separating, Avantika found love in Imran Khan and after 8-years of dating each other, the couple tied the knot in 2011. They are blessed with a beautiful daughter, Imara. 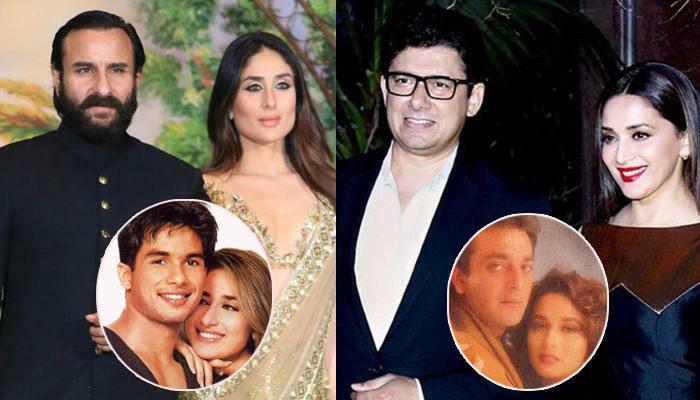 Well, these are some of the few star wives of Bollywood who didn’t let heartbreaks hinder their war to find and regain trust in marriage. Are there any other celebrities, whom you think should be mentioned here? Who are they? Let us know in the comments section below.